Is your dog ready for the winter? Now winter is coming warm clothing is essential for dogs. Did you know they feel the cold just like us humans? even with their fur! Cold, wet or windy they need more than just there own fur. We have put together some of the items of clothing you can get to keep your best friend from being cold. The scruffs thermal jacket looks stylish and also feels like a well-made product. 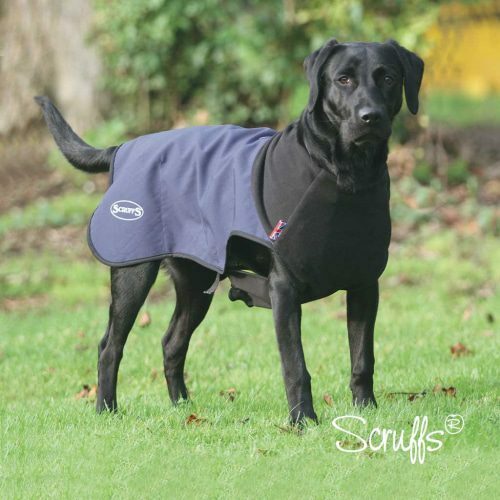 It provides warmth straight to your dog’s muscles with its heat retaining technology instead of using just the standard synthetics to just hold the cold off It uses a method that’s breathable yet lightweight. Available in one colour and is machine washable. 5 different sizes are available ranging from 45cm to 65cm. There is no need to measure around the belly as it pulls to fit underneath using velcro and also has hind leg adjustment so you get get the fit just perfect. 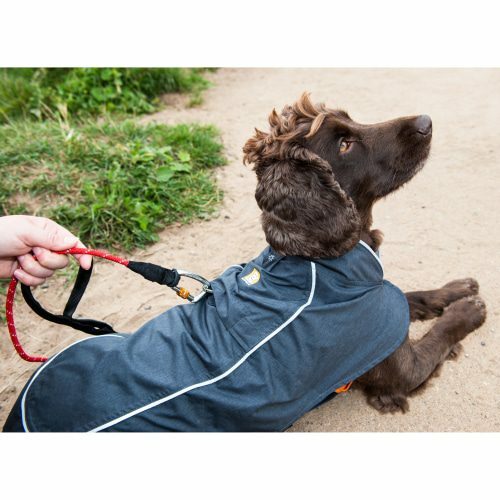 Its lightweight so won’t weigh your dog down and has a comfy fleece turtleneck the only thing is this part is not waterproof, but on a whole, we do like this jacket. The Muddy Paws Stormguard Dog Coat is heavy duty and fully waterproof winter coat. We love how it looks and the chocolate colour will make any dog look handsome wearing it. maybe just for the boys! Will definitely keep them snug, dry and warm the chest even has a fleece protector for extra comfort. It doesn’t say if it is machine washable altho it does say it comes with instructions on how to clean it when you buy it, which may be a bit cheeky, however, even just giving it a wipe down after each walk will be ok.
4 different sizes ranging from 25cm to 60cm, you just measure your dog as normal from the base of the neck to the start of the tail the rest is fitted by adjustable velcro fastening. 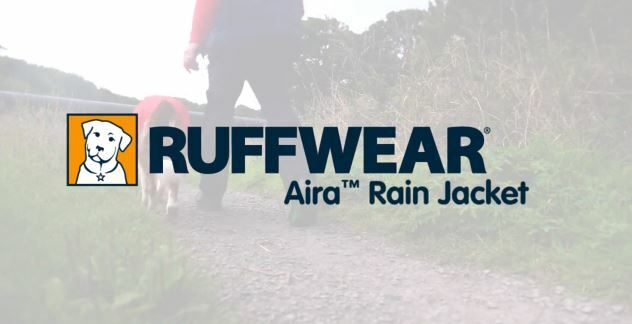 This Jacket is lightweight and just perfect for wet rainy days, Its the ultimate raincoat for dogs. With its reflective trim and a place to attach a light, it seems very security conscious. Leash/harness access at the back and covered with a button. 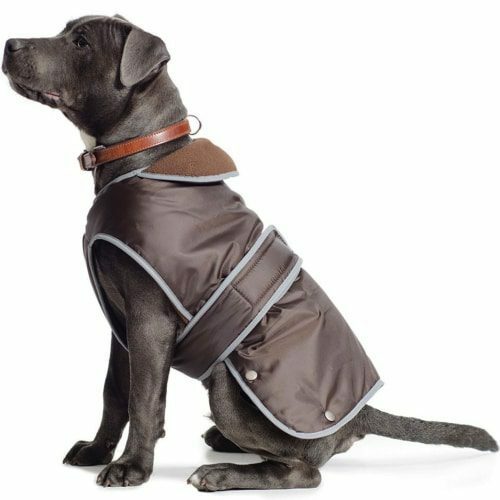 The Jacket also keeps your dog extra protected from the windy weather with its storm collar that you pull up. The jacket itself is coated with DW100 which stops the rain soaking through, it just runs right of the jacket to the floor. 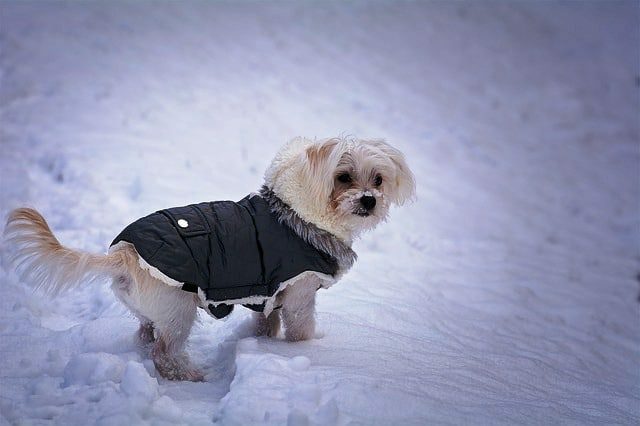 It’s very important to keep your dog warm in the months of winter even though the UK doesn’t get say as cold as the North Pole it is extremely important to keep our fur-babies warm. I’m sure they will also love the treat. Want to treat your dog this Christmas?